We have reached the fourth week at the I.I.I School Summer Camp. We yet have another two weeks of fun ahead of us! But let’s look back on what’s been done these past a few days, and we’ll start off with Arts & Crafts. 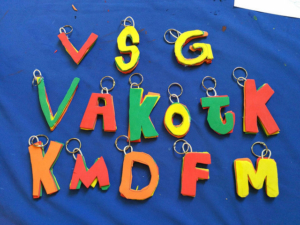 S tudents have created their own key-rings which they have proudly hanged off their backpacks. We have also ‘trapped’ the galaxy inside a jar. Marta and Manuela, teachers at the Summer Camp guided the brave members of the Chameleons team with their project, which consisted of using cotton wool to create precious colour compositions, each one resembling a group of clouds at dusk, with one or two of them resembling a real thunderstorm. 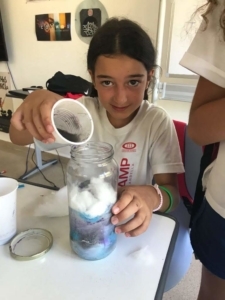 In this photo we see Maria Paola with her creation: She is the winner of the school’s contest for the best Summer Camp picture, and which won her a free week’s experience at the Summer Camp. Undoubtedly there is no limit to the participants’ imagination. Every Friday the beat of music announces the end-of-the-week party at the Summer Camp. 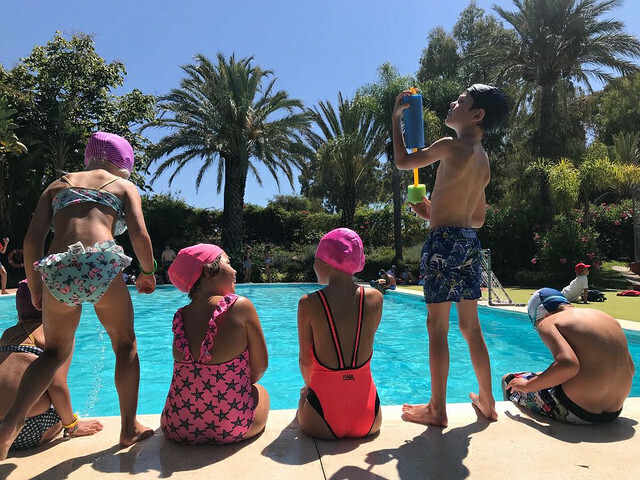 In the school’s huge courtyard we have different stands: one for refreshments and snacks, one for face-paintings, where our talented teachers paint on the students’ faces and of course the dance-floor where we can all dance about and have fun. Miss Anna’s corner is taken by the boldest members of the Summer Camp as she really knows how get them dance to the beat. We would all sing and dance along endlessly to the music picked by the students themselves . We came up with the idea of the farewell party as every Friday some students do not continue at the Camp any more, and then it is an opportunity to see them off and exchange contact details to keep in touch. 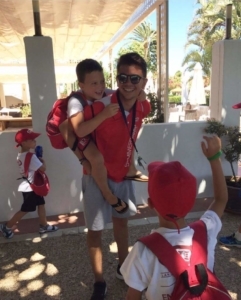 “We are all a great family, and it gets bigger and bigger thanks to the number of children who come and enjoy the Summer Camp. 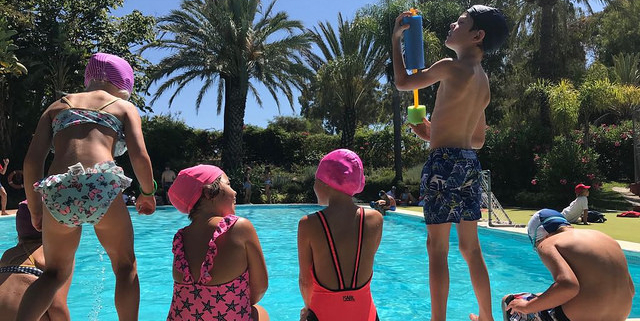 It is really sad to see them go, but their feeling of sadness is a clear sign that they have really enjoyed themselves and felt really at home with us here.“ Roberto continues. 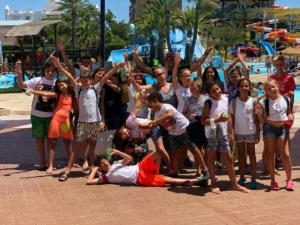 Last Saturday’s excursion was to the Mijas Aqua Park. A group of students did not want to miss the chance to enjoy the different rides at this park. All the students, teachers and monitors had a smashing time- it was an unforgettable day for all of us. We are all set for the fifth week at the 2018 III Summer Camp. See all the photos here. Remember, you can still join in the fun. Call us on 952908558 for information on our Summer Camp.